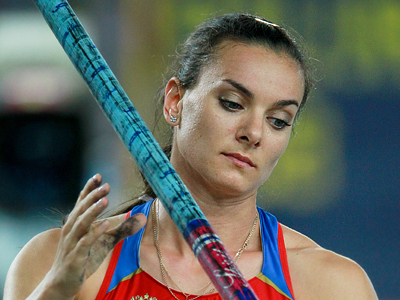 It looks like the sky is the limit for pole vault legend Elena Isinbayeva. The Russian could only manage bronze in London, but third place seems only to have fired up her thirst for glory. 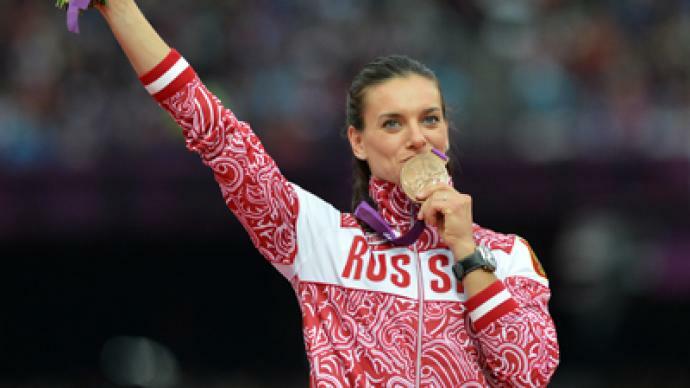 Elena Isinbayeva is one of Russia's most-recognized athletes around the globe. Two Olympic gold medals from Athens and Beijing have something to do with her stardom. But it was a case of third time unlucky for the pole vault queen in the British capital, as her hat-trick ambition was gone with the London wind. “I’m happy about my bronze medal. I was risking not getting any medals because of the terrible weather conditions. A lot of girls couldn’t make the qualification height, but physically they were ready to jump higher than 4.40 meters. And I was also afraid that weather would bother me,” says Elena. A bit of heartbreak for Isinbayeva, but that bronze also did at least one good thing. It gave the Russian a reason to put off her retirement. At 30, she wants to start a family and give birth to her first child, and Isinbayeva hopes having a baby will help her deliver the goods at the Rio Games in four years’ time. “The main objective now is the World Championships in Moscow next year. After that I will take a break, hopefully will start a family, which will give me a motivation for the future,” she says. Well, whether she makes it to Brazil or not Isinbayeva has already achieved everything an athlete could dream of. She is a double world champion, not to mention her four indoor titles. The Volgograd native has also set a staggering 28 world records during her career, and she is the only woman ever to have cleared a height of more than 5 meters. “I think I will hold this record for 10, 20 or even more years. 5.03 meters is incredibly high. It looks easy, but it’s really difficult, first of all physiologically,” Elena notes. 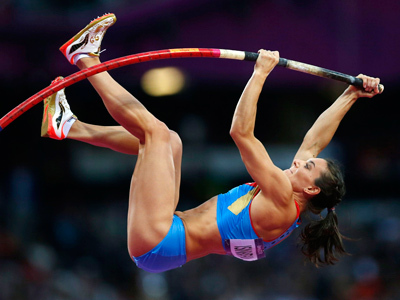 It seems Isinbayeva has confidence to spare, but time will tell if it is enough to earn her even more sporting glory.